The old adage goes that if you want to be successful, do something you love. 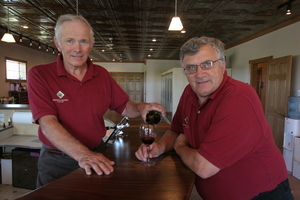 For their entire lives, Melvin and David Danzinger loved to farm and were looking for a new venture for their retirement when someone suggested growing grapes. What started as a family venture has grown into a passion with more than 8,000 plants on 18 acres located in some of the most beautiful scenery you will find in the Mississippi River Valley. From the casual wine drinker to a true connoisseur, Danzinger Vineyards has the blend to enchant your palate. Come visit us, we'll be waiting for you with the perfect glass of wine. David Danzinger earned a Masters in Agricultural Education from UW River Falls. Previously, David was the manager of Danzinger and Sons Farms. He held this position for 30 years, and his sons are now running the company. DS Farms is a dairy farm which grew from 60 cows to 500 cows. 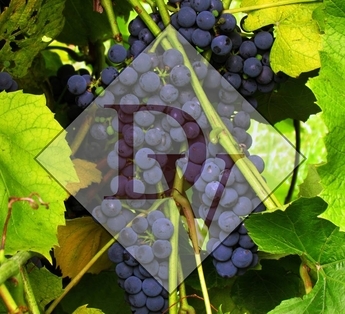 David has attended numerous seminars on winery operations and is now managing Danzinger Vineyards. Melvin Danzinger earned a Bachelors in Agronomy from UW River Falls. Melvin was in charge of the crop program at Danzinger and Sons Farms for the past 30 years. Melvin has also attended numerous seminars on operating wineries and has been managing the vineyard aspect of Danzinger Vineyards since its start in 2003. When the family decided to start a vineyard Penny's interest in wine began. As the vineyard grew, so did Penny's curiosity in wine and the proper way to taste wine. She decided to learn more about wine tasting, moving from whites to reds, and its history through an online course from DMACC in Iowa. Penny is the Retail Sales Representative and Event Coordinator. We look forward to a new change at Danzinger Vineyards. We are proud to announce we have a new winemaker! Luke has been with us for three years and learned from Ken the proper way to make wine here at Danzinger Vineyards! We are approaching the start of Luke's first harvest of the season! The most important part of wine is enjoying it with friends and how it can bring people together to enjoy it. Allow Penny and her friendly staff help pick out a wine for you and your friends!